Fast friends since childhood, three of the four members of the Danish String Quartet have been playing together since the age of fifteen, and they continue to bring a youthful exuberance to everything they do. 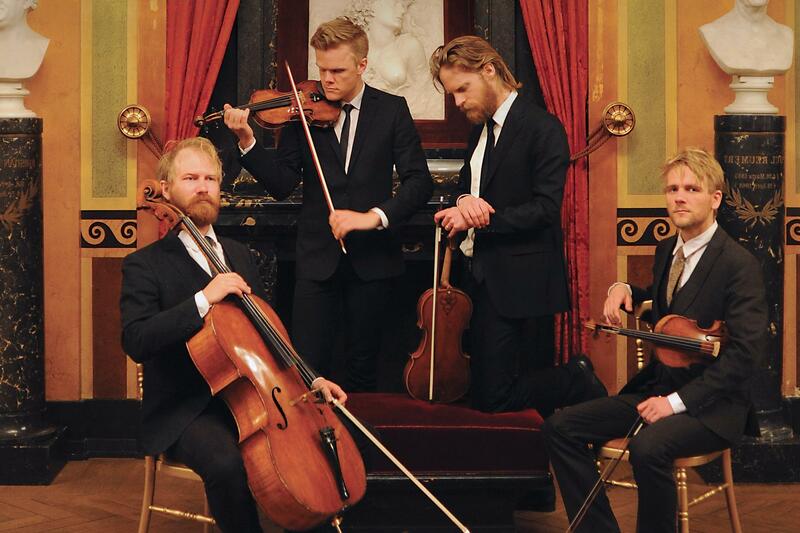 Fusing the classical canon, contemporary composition, and a wealth of folk music, these three Danes and one Norwegian have earned impressive accolades, launching their career with five major prizes in 2009. The New Yorker praised the "infectious joy and rampaging energy" of their performances, imbued with a warm, radiant sound that seems lit from within. In Durham, the Danish explores Haydn's String Quartet in C Major, which broke new ground by freeing the cello to sing alongside a leaping violin. Likewise innovative for its time was Webern's String Quartet (1905), which pulls crystalline beauty from lean soundscapes and infuses atonal passages with raw emotion. The program closes with Mendelssohn's passionately lyrical op. 13 in A Minor, written in homage to his hero, Beethoven. At a time when few understood Beethoven's music, Mendelssohn paved the way for the recognition of his genius.